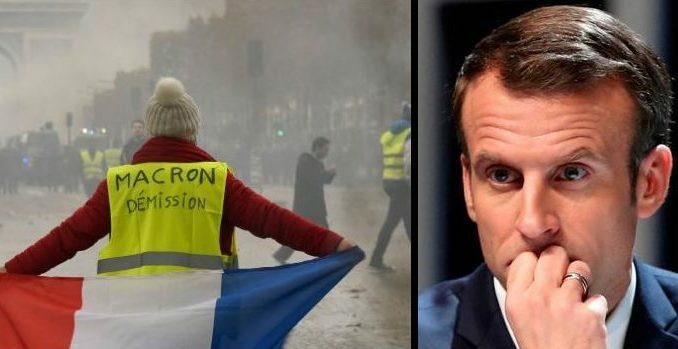 French President Emmanuel Macron is prepared to impose draconian new laws to thwart the French revolution sweeping the country. According to Prime Minister Edouard Philippe, the government is preparing to pass emergency laws to toughen punishments for anti-globalist protestors. Rt.com reports: The new measures will significantly toughen punishment for people who participate in riots, Philippe said, while adding that it was still “necessary to preserve the freedom” to demonstrate in France. Those who want to protest peacefully should not be punished, he said. The king of the Shadocks is in Matignon,” Mélenchon said referring to the popular animated series where ignorant bird-like creatures live on their own planet, and the Matignon Palace, the official residence of the prime minister.